To compose, at least by propensity, is to give to do, not to give to hear but to give to write. The modern location for music is not the concert hall, but the stage on which the musicians pass, in what is often a dazzling display, from one source of sound to another. For Barthes, the composition should not exist as some static product or commodity to be passively consumed. Instead, like the reader of a modern text, the listener is to take an active role, to “cross [the composition] with an new inscription,” to not simply hear, but to do: to work through a piece to uncover their own application. Though written about music we now find antiquated, it’s a program that’s well-suited for modern music, particularly of the sort made by groups like Polwechsel. The four compositions on Traces of Wood feel like a culmination: a summit where distinctions between composition and improvisation have become moot, and a place where the only logical approach to the music is an active working-through, on the part of both musician and listener. Each member of the quartet (Michael Moser on cello, Werner Dafeldecker on bass, and the dual percussion of Martin Brandlmayr and Burkhard Beins) contributes a composition, though it’s quickly apparent that what they each offer is less a rigid score than an environment in which a “composing” can take place. Traces of Wood marks out a realm where composition is unseen, or to evoke Barthes again, inaudible. There’s a sense in which Polwechsel represents both the furthest reach of the original abolition of “practical music,” and the best candidate for the mode of listening Barthes suggests to reboot it. 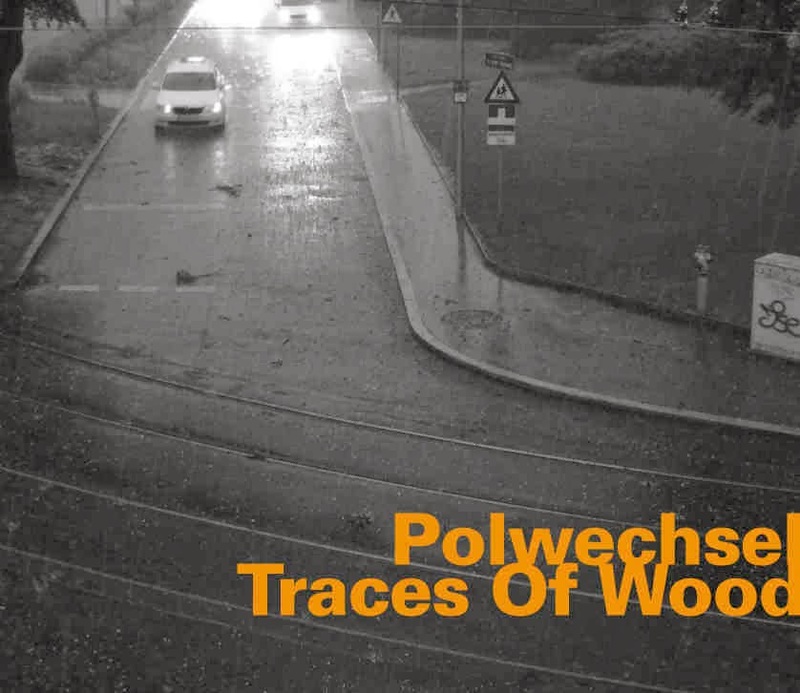 Traces of Wood is Polwechsel’s first album since their 2009 collaboration with John Tilbury, and the first since the departure of John Butcher later in that year. It opens with Beins’ “Adapt/Oppose,” which engages in the intense dialectic its title suggests. The musicians move in and out of alignment with each other, and the music is jostled between long, collaborative drones and sections bristling with short blats of strings and light percussion. It establishes Traces of Wood as a music of friction. As the album progresses, we feel the resistance in a number of planes of movement, not just those of bow on string or stick against membrane. “Grain Bending #1” is a fascinating piece in which each musician’s instrument is outfitted with a transducer that relays sine waves and other samples into its sounding box, allowing them to “act both as loudspeakers…for external sounds and as independent sound producers,” as Matthias Haenisch describes in the liner notes. It moves from periods of violent activity to eerie calm, as the musicians tease out a complex harmony from the bed of sinusoid tones. Perhaps most remarkable is the melody that eventually emerges: minimal and unobtrusive, yet surprising in the context of Polwechsel’s output. Moser’s piece maneuvers covertly into a position where this melodic turn can be accepted and integrated into the larger, abstract thrust of the entire work. “Nia Rain Circuit” also uses technology in a subtle way. As the group performs, snippets of their playing are recorded and then re-injected into the performance on a predetermined schedule. The result makes for engaging and disorienting listening: I often believed I was hearing the musicians playing in real time, only to have the sound source abruptly cut short, revealing that it was a recording and the musicians were in fact focused on another element of the music. Here we feel the friction between technology and performance, between what we anticipate and what we actually get. The final piece, “S 64° 14" W 65° 37",” juxtaposes sharp interjections from the musicians against field recordings of a storm Dafeldecker made during a trip to Antarctica. Often, the music serves to interrupt the continuity of the raging blizzard, but at times, the group seeks to supplant the very storm itself. It’s the most aggressive of the four tracks, and perhaps appropriately so, standing in as it could for nothing short of the primitive showdown between man and nature. And so I’m left to sit back, hit play once more, to wrestle between this and that, and try to start again from the beginning. Yes, Mike, it is a great album. I have three other Polwechsel albums and I've had the pleasure to see them live. This is one of their best releases.